Your baby's skin will never be as vulnerable as now! GU cares for your baby from the very first day using natural ingredients from organic agriculture. Exposing new-borns or young children to aggressive hygiene products can encourage the emergence of eczema, allergies, atopic skin and possible future health problems. Therefore, all GU children's line has been developed to avoid irritation, even in the most sensitive skins. Babies There are 20 products. GU products help you preventing irritations, allergies, and skin problems, even in the most sensitive skins. So the whole children's line is dermatologically tested on sensitive skin and contains no Parabens, phenoxyethanol, alkaline soaps, alcohol, dyes, SLES or PEG. Skin has memory: and if you take a proper care of it since the beginning, your baby will grow up with a healthy skin and s/he will be less vulnerable to have skin problems in adulthood. With GU gels and creams you will protect the skin of your children from the very first day against aggressive and harmful ingredients. 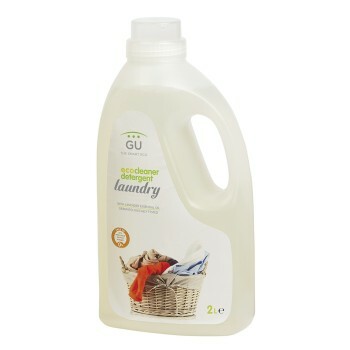 We want our babies grow up happy: we want them be comfortable, dry and clean. And we are convinced that we can do it without harming the health of the planet in exchange. Think about this: a standard diaper takes about 300 years to decompose. 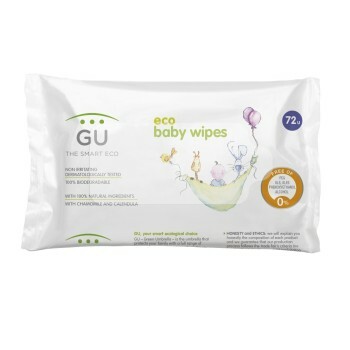 GU Diapers and wipes are made with biodegradable materials. A GU diaper biodegrades in about 3-5 years! GU Eco Diapers. Tested as non-irritating. S1/10u. GU Eco Diapers. Tested as non-irritating. S1/10u. GU Eco Diapers. Tested as non-irritating. S2/10u. GU Eco Diapers. Tested as non-irritating. S2/10u.